Over the road trucking companies | Tracking Systems, Inc.
An enhancement to our powerful GPS tracking software, Tracking Systems’ tax reporting capability helps save your office staff days of work. In addition, you no longer need to rely on drivers keeping accurate daily mileage records. Companies making deliveries in New York State must also file NYS HUT (Highway Use Tax). Our automated system creates this report, deducting all miles driven on the NYS Thruway. IFTA forms do not have to be intimidating. You do not need to spend an entire weekend every three months locating — and managing — your paperwork. Imagine looking at a simple report that instantly details all miles driven — and all fuel purchases* made — by state. 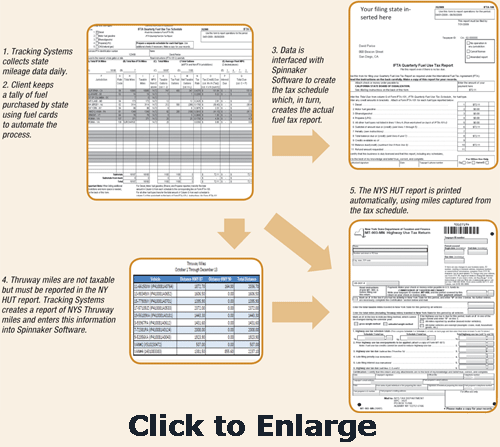 Having that information at your fingertips makes filling out IFTA and NYS HUT forms fast and easy. * Use of gas company credit cards is required. What are My Fuel Tax features? Easy user interface — with Mileage Import Wizard — saves even more time. 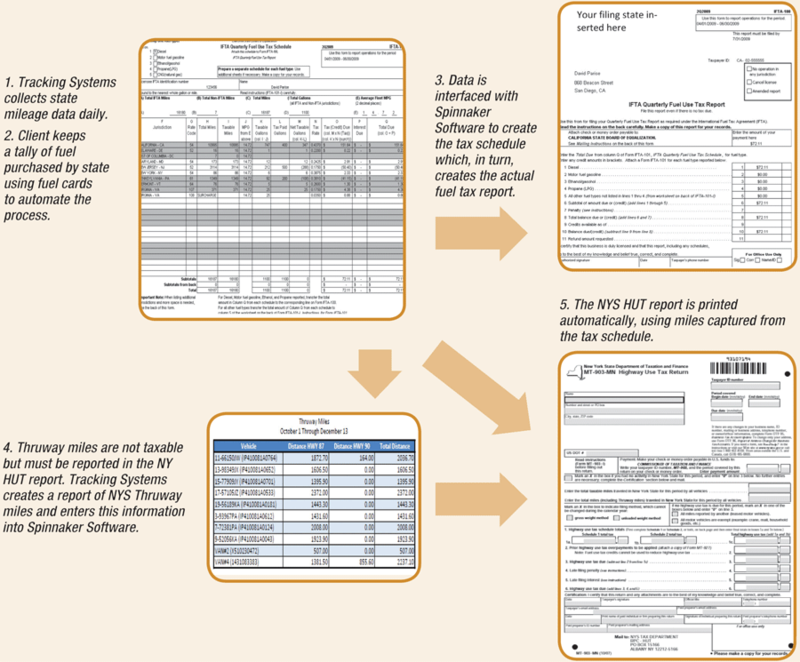 Multi-IFTA account capability runs IFTA reports for owner/operators. Free quarterly tax rate updates. Backup and restore feature protects data. Convenient data storage (on computer and/or backup device) for easy access. What kind of reports does My Fuel Tax generate? State-specific IFTA tax forms to simply sign and mail. 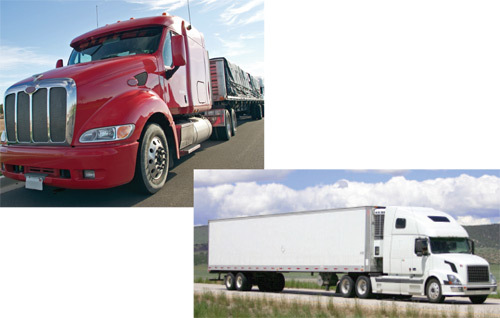 IFTA reports for fleets and individual trucks. Oregon and New York as well as state-specific forms to simply sign and mail.